Robert Bowers, the man accused of bursting into the Tree of Life synagogue in Pittsburgh on Oct. 27 armed to the teeth and who proceeded to shout “All Jews must die” before murdering eleven people pleaded not guilty in federal court to a dozen additional charges including hate crimes according to Reuters. “Bowers, 46, pleaded not guilty to 19 fresh charges, which bring the total number of criminal counts he is facing to 63, including use of a firearm to commit murder and obstruction of religious exercise resulting in death” said Reuters. The massacre was the deadliest attackon a U.S. Jewish institution in history. Among the eleven Jewish congregants was a family doctor who served as an erstwhile HIV specialist and treated his patients with respect. His name was Jerry Rabinowitz. 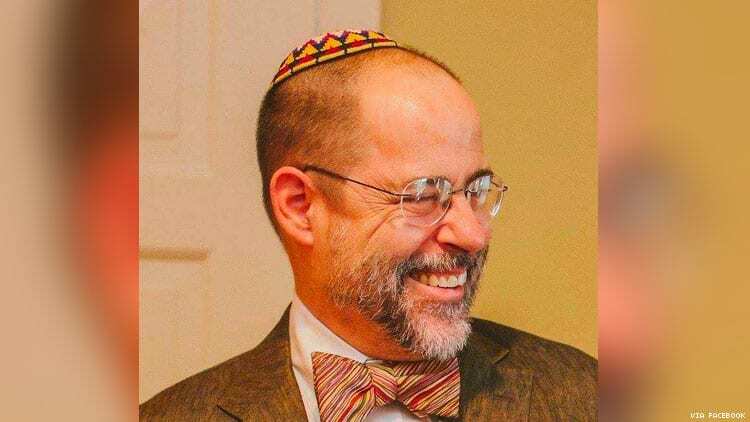 “My doctor Jerry Rabinowitz was among those killed in the Pittsburgh Synagogue shooting. He took care of me up until I left Pittsburgh for NYC in 2004. In the old days for HIV patients in Pittsburgh he was to one to go to. Basically before there was effective treatment for fighting HIV itself, he was known in the community for keeping us alive the longest. He often held our hands (without rubber gloves) and always always hugged us as we left his office. We made a deal about my T-cells in that I didn’t want to know the numbers visit to visit because I knew I would fret with every little fluctuation and I also knew that AZT was not working for my friends. The deal was that he would just let me know at some point when the T-cell numbers meant I needed to start on medications. The numbers were his job and my job was to finish my masters thesis and get a job with insurance and try to not go crazy. I got lucky beyond words — because when he gently told me around November 1995 that it was time to begin taking medications — there was an ACTG trial for two HIV medications that saved my life. One of which I still take today. Thank you ACT UP for getting these drugs into a safe but effect expedited research protocol. You saved my life. Among the victims were two middle-aged brothers, an elderly husband and wife and a grandmother nearing 100. All were cherished members of a tight-knit Jewish community with deep roots in Pittsburgh history.